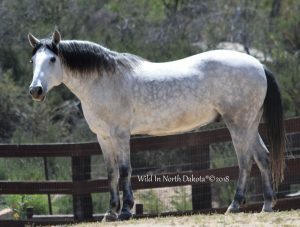 With another auction of 13 horses from this TRNP herd coming to a close tomorrow night at 6 pm CST, I thought I’d show you another example of life after being removed from the wild. It doesn’t have to be the end for them as they are very capable of moving on and living a great life in our domestic world. 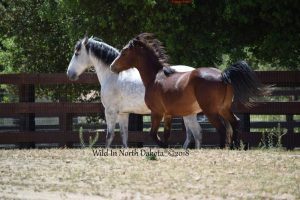 This is our gorgeous 2009 Dakota Page (Rosie x Gary) along with our newest addition 2016 Colt, Renegade (Autumn x Cocoa). How awesome and incredible is it that Page now has the ability to help young Renegade adjust to life here on our ranch?! 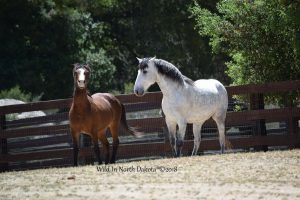 I just love when the older horses take the new little guys under their wings and help guide them along the way. Dakota Page is the sweetest soul I’ve ever known and our life has been enriched 10 fold by having him in it! We feel so blessed and honored to have him and all the others in our life and hope we are a great example of what their lives can look like after being removed from the wild. Best of luck to all of you who are taking a chance on these horses and bringing them into your lives! You too will be enriched beyond measure and here’s wishing you all the best! We can’t wait to hear updates from all of you and will wait with anticipation. 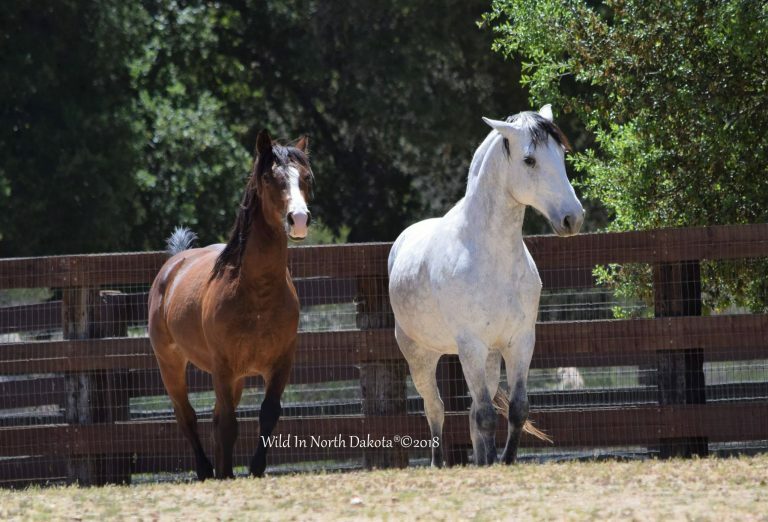 Congratulations to all who win the bids on these very deserving TRNP horses! 2016 Renegade running with 2009 Dakota Page. Young Renegade learning the ropes running free on our ranch with Dakota Page. Our beautiful gelding, 2009 Dakota Page (Rosie x Gary).